Q: What is an Aztec Recognition Agreement? A: The Aztec Recognition Agreement (sometimes spelled Aztech) is a three-party contract between the borrower, lender, and coop. 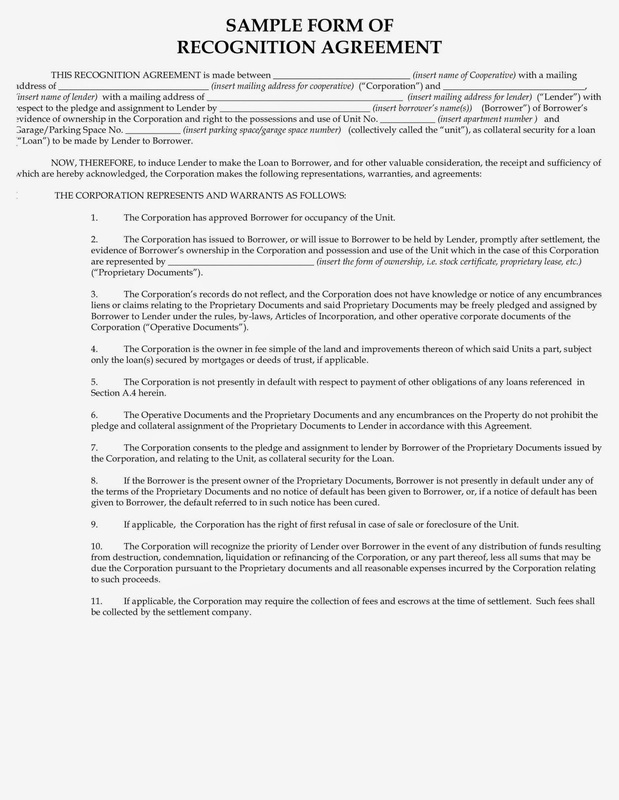 The co-op corporation is prohibited from permitting additional financing or canceling the shares/lease without the lender’s permission. This protects the security interest of the lender. The co-op, on the other hand, is given a superior lien on the equity. In the event of a default, a co-op’s lien is automatically prioritized over that of the lender. Only a few lenders will do Home Equity Loans (HELO's) in coops since they will be third lien. Procedures for the lender and co-op to take in the event of a default are also established. The co-op agrees to inform the lender if the borrower’s monthly maintenance payments fall into arrears (3 months). This functions as an early warning system of a borrower’s financial difficulty to the lender. In return, the lender agrees to make payments on behalf of the delinquent shareholder/borrower in order to prevent the co-op from foreclosing. In an HDFC does the lender pay the flip taxes if the sale is from a foreclosure or is this just a loss for the building? I am curious. You include both spellings - aztec and aztech for this standard form. When I search around I find references to both, but no citation to any specific authoritative source for the term and its spelling. Where does the term come from and which spelling is the original? The term comes from the company that makes the forms Aztech Document Systems aka and sometimes spelled Aztec document systems. The proper name of the document is Recognition agreement. Just like a standard lease is often called called Blumberg Lease because Blumberg makes the form. I believe the lender is responsible to pay the coop. There are lenders that won't loan in buildings with (flip taxes) or other restrictive covenants.